I went with Sandra to some gathering and chatted with women there. 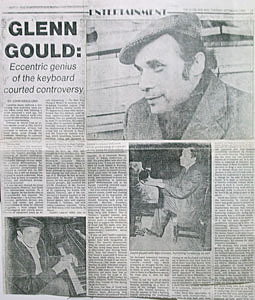 As always, I talked about Gould. One of them said something that quite surprised me. “You’re talking about Mr Gould? He lives in the same apartment building as I! 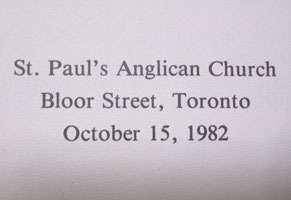 Before the lessons next evening, I went to St. Clair Avenue. 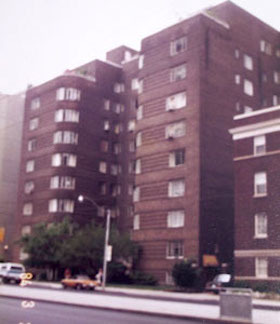 I arrived to the apartment building from the west side. Just when I arrived, a big car suddenly appeared from a bit eastern to the building and came out on the south. The car stopped to let other cars pass in order to merge into the street traffic. The driver was dressed completely in black. Oh, my god, It’s Gould! The Gould I saw seemed to be in a bad temper and was astonishingly different from the person I know from pictures. Anyone who saw Gould in this period said, “He grew shockingly thin and haggard-looking.” His body must have reached its physical limits. 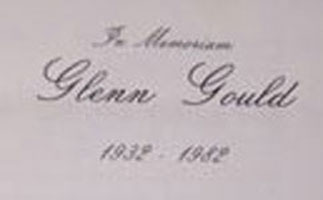 All Gould’s portraits from his later years wear the shadow of death. 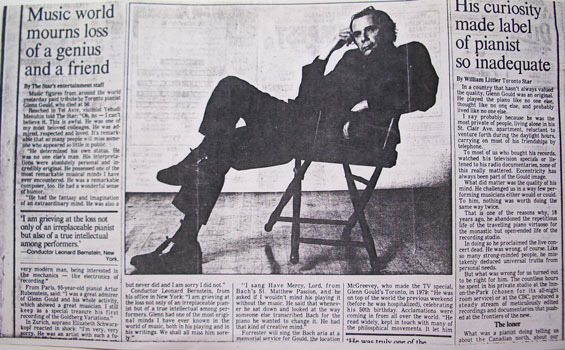 To those who knew Gould while he was young and beautiful, his looks, changed due to his dependence on medicines, were “strange yet mysterious” and gave away an odd feeling. 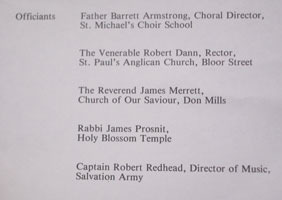 This was my only real meting with Gould. Nine months later he died of a stroke as if he were acting out “death”. That is when my communication with his spirit started. 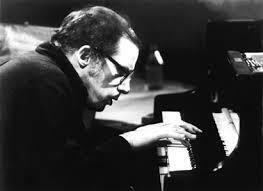 For me, Gould’s death was a deciding meeting, the beginning of our conversation. When I got home that night I immediately called Francis from Southwood Drive to tell her the exciting news. “Lincoln Continental. Yeah, that was definitely him!” Francis confirmed to me. The new place I moved to was a warm loft room. My new landlords were a man prone to illness, his wife who had a heavy case of lumbago and their daughter Sandra. On the underground floor there were a bathroom and a toilet, and the whole second floor was leased out to a young married couple. On the third floor there were two rooms. 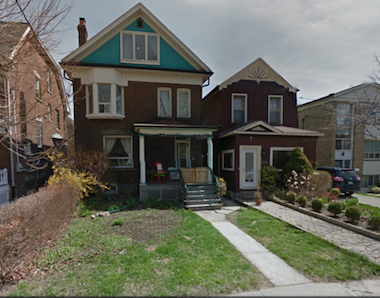 On the east side was Sandra’s room, and the room facing the west side street was my room. It was very easy for me to attend the high school English language classes from here. Unlike Japan where we use gas, every cooking stove I saw in Canada was electric. I don’t know where they generate electric power, but it seems they have abundant supply from Niagara. Three days after moving in I was making curry in the kitchen, planning to take it to a friend of mine who got sick. I didn’t know well the difference between the strongest and the weakest heat, so I put the pot on the weakest and sat there reading a book. When I noticed I had chosen a wrong heat level and was about to fix it, the landlady entered the kitchen. I never trusted the landlady after this incident, nor did I ever let my guard down around her. She came to like me afterwards, finding me to be “a nice and smart person”. She told me I could marry her middle-aged son, but I refused. My landlady utterly detested her husband. I guess it was because she had had no control over her life, marrying a man who was poor and giving birth to as many as 7 children. “Men are always out, having fun. They don’t care that the wife suffers because she doesn’t have enough money for the house. I could see that the relationship between people in this family was complicated. The atmosphere in the house was somehow gloomy and oppressive. 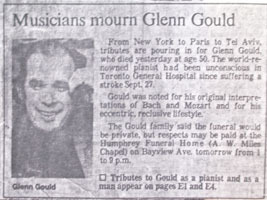 There is one more reason why I continued playing the piano after Gould’s death. In the winter of my sixteenth year I suffered such physical pains that I could not even take a moment’s sleep. My face, inside of my mouth and my teeth hurt most. I was being told that rheumatism had gripped my whole body or that I had trigeminal neuralgia, but what my pains actually were – they were the suffering of deceased people. I was assumed by the cries of their spirits. 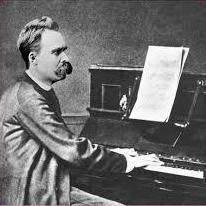 After Gould’s death, my guiding principle became “Zarathustra”. “Verily, a goal had Zarathustra; he threw his ball. Now be ye friends the heirs of my goal; to you throw I the golden ball. 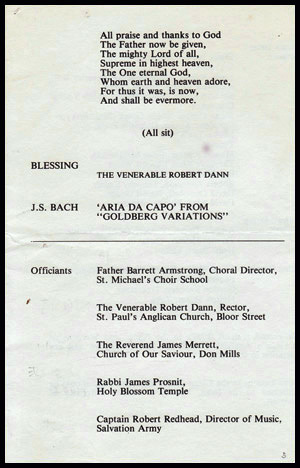 For me, this “golden ball” is the very Goldberg (Variations) Aria given to me by Zarathustra at the end of my 16th year. 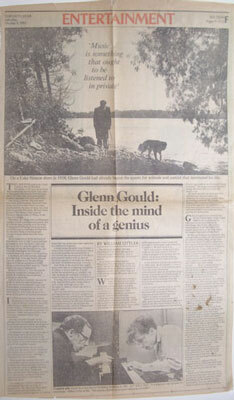 I wanted to know what Gould had to say about Nietzsche. In such a case it would be best to ask the said person for their opinion. However, I do not go ahead and put questions forward by myself. Even when I hear voices of deceased people, I do my best not to get involved in their conversation. Because I don’t want to be led by the nose by invisible voices. However, I do not hesitate to say to people around me about Gould’s visits. People react differently to this. Some exasperatedly say “Hmph!” Some give a wry smile, or make a perplexed expression. People are really egoistic things. Several months ago I thought I would be happy if only I could daily practice the piano. I got my long-coveted visa. Even that Gould spoke to me. Even though my daily life has arranged well, I cannot sit back and relax, and my heart is crackling. Whereas I want to be somewhere within 80 percent in all I do, my way of doing things seems to be straining too hard while counting backwards from the wanted results. I can compare myself to a person on the margins who once didn’t even have money to buy a plant pot, and who enjoyed at leisure growing her flowers from buds, planting her music seeds in an empty can and raising them in the back alley. Suddenly that person gets thrust into a music factory, working hard but restlessly on the production of music. I also feel stress due to the lack of language talent. My bohemian troubles have gone, and it was important to get used to the student life. The lack of humidity in Toronto is a marvel. I remember all that Japanese humidity. I am able to practice because this region is dry. I feel weird because I can talk with him so much. I used to be very susceptible to being possessed by the spirits of others. 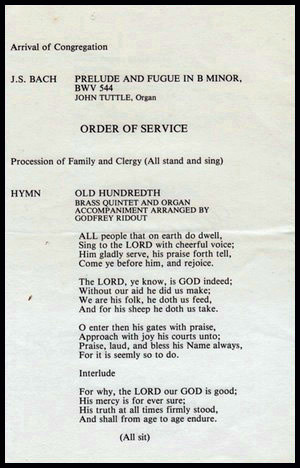 Such life is a very hard one, so now I negate Gould’s visits. Among the spiritualists there are those who communicate their own words as if they were god’s words or words from families of the deceased people. Therefore, whatever I would hear would frighten me greatly. Gould: “You are a really strange person, Mako. spending, though. That is my problem. in the future. To make an analogy, it would be just a tip of your little finger. sort out their feelings even after their death. see many things I had not been able to see before. It was better that way. Now I know there are virtually no people who can understand you. believe there were such special people like you. And then I ran into you. Someday, you will write about your spiritual meetings with me! I am praying for your happiness. Life is a wonder, but there are many wonders after one dies as well. hearts that I get disgusted with it all. my life like that too. asako, “Mr. Gould, you always say interesting things to me. Thank you. I believe you had had a free and happy life. corporeal body, I guess you became even freer. crimes, so they are under oppression and their bodies are scarred. It is July 23, 1998. While I was writing my catch-up diary, it occurred to me I hadn’t made an offering to Gould of anything else but the coffee leftovers. I hastily made some black Jacaranda coffee from a Malaysian village of Bukit Merah as an offering for him, and an ice coffee for me. It takes certain courage to actually write down Gould’s words. 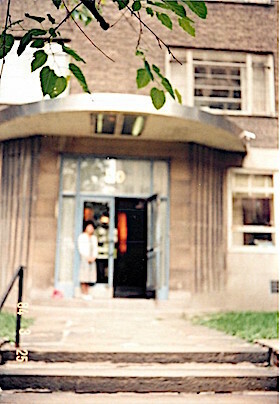 Since April 1991 – I was learning Korean hangul at that point – I hadn’t managed to make a contact with him. When I was about to write my catch-up diary, I thought I would not be able to speak with him as before, and I tried to contact his spirit a number of times. However, I would just get sleepy as a result. 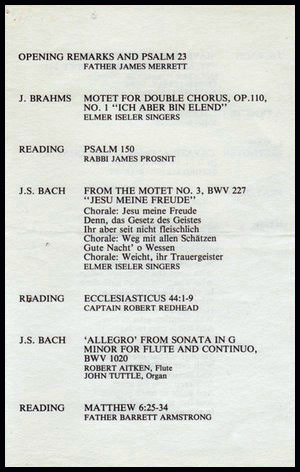 Remembering Swedenborg who worked while slumbering, I decided to go to sleep in case I could hear Gould in my dreams. 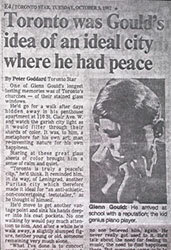 Thirty years ago, almost no information about Gould travelled to Japan. However, I know even the name of a woman he had been dating at the time. 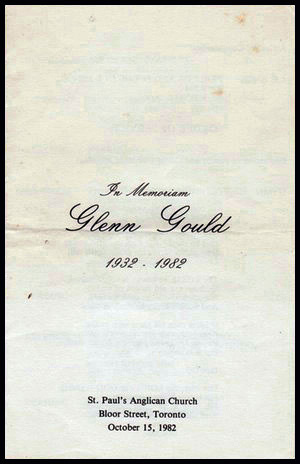 There is a great number of books now in which fans from different countries wrote their feelings for and memories of Gould. Among them is a person who can see colours in Scriabin’s sonata performed by Gould. There is a person who points at the contradiction between Gould as “the last puritan” and his performances that dazzle our senses. There are also swarms of people who claim that the gods who visited Gould were the same gods that visited Hölderlin. 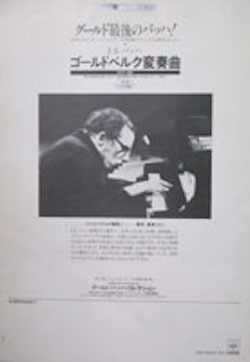 The first scholar in Japan who conducted a research about Gould was a young Gould’s fan, Miyazawa Jun’ichi. My feelings towards Gould are not those of love, but of a selfish infatuation. I just want to say that, like a kawara nadeshiko（*） that is nothing but a yamato nadeshiko（**）, there is a person here who remembers and thinks of Gould as well. * kawara nadeshiko (Lat. 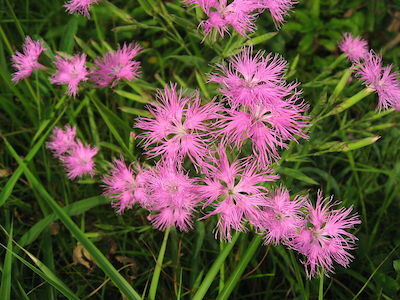 Dianthus superbus), in Japan, one of seven autumn flowers. Kawara means river banks. 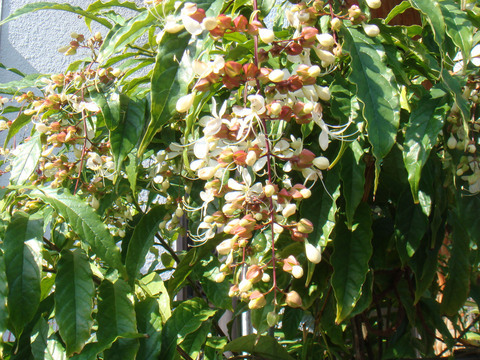 Therefore this wild flower stands for an ordinary common being. 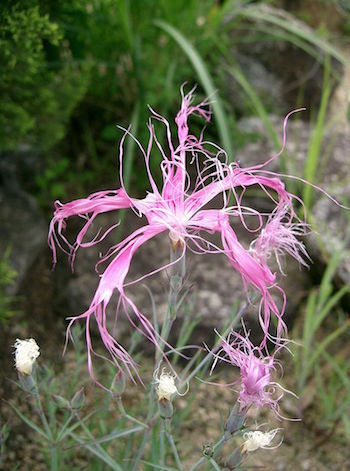 **Yamato nadeshiko (Dianthus superbus longicalycinus) is metaphorically associated with traditional, idealized feminine beauty in Japanese culture. Gould has been here the whole day today as well. All the time, everywhere, we are together. there even when I am naked. a father watching over his newborn child. 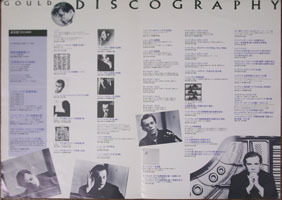 universe, contains the record of Gould’s and my past as well. In my free time I was watching the setting sun from my bed. I wrote down what I heard last night. I don’t think this is something I can tell other people. During the last lesson I saw him in the air, engulfed in laughter. as I hoped it would. I want to develop my skills as far as possible by my own efforts. “Yes! It’s me. Hello! You noticed me after all. I trusted you would. because telepathy and spiritual world are as I believed them to be. of mine that I had tried to control with medicines. encouragement I received through your music. while I was alive, but I am happy now that I left the Earth as well. from you from the conservatory. I remembered then I heard about you from my father. I was not much interested in you, but I signed 5 records and sent them. And so went this strange exchange. G: “I thought you a nice person,” he said. “But it seems you’re not happy at all about me trying to contact you. would shake your head. Why is that? I thought you would be happier. I decided to follow you after you went back to the conservatory to practice. G: “Sorry, but follow me till your house. I want someone to talk to. M: “Mr. 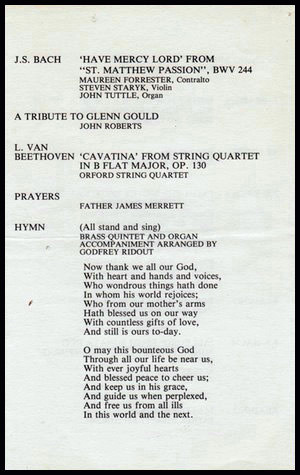 Gould – if you are really Mr. Gould – thank you for coming to me. Gould and is saying half-truths. I know from your records and the TV that you speak quickly. However, that also can be imitated, isn’t that right? This is how Gould’s and my relationship started. For a while, Gould’s glittering soul watched out for my life with love and affection. 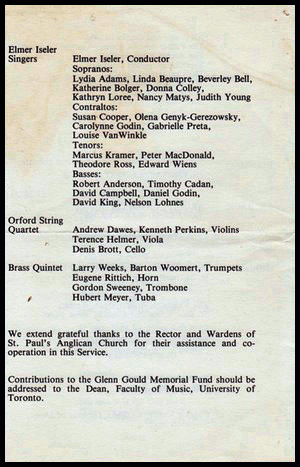 since becoming a student at the conservatory of music. These conversation was a burden for me now that I was absorbed in my studies. 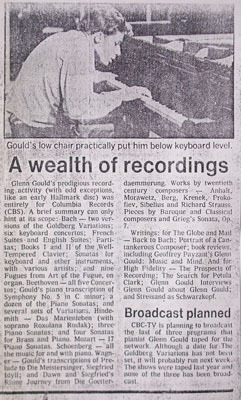 I have felt Gould’s warmth since I heard his first record. And now that he is coming in the form of a spirit, I still feel his presence as “warmth”. saying, “Don’t make a fool of me!” But Gould was kind and tolerant. 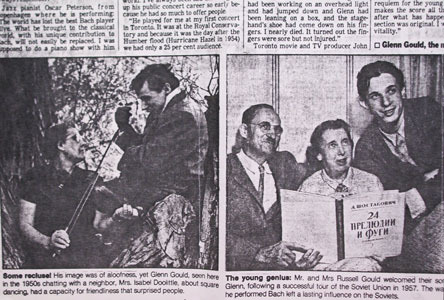 You can see the program of "In Memoriam Glenn Gould "
There were a number of news reports about Gould’s death in Canada at the time. I decided to upload them here.